This article discusses low energy power operators on doors that swing. It does not discuss automatic sliding doors or high energy power operators. Often doors need to be secured, and increasingly often these doors need to also be equipped to provide assisted access for persons with disabilities. Assisted access if accomplished through the use of a device called an automatic door operator, automatic door opener or power operator. The first rule of operation for doors that must both lock and automatically open is: “If the door is opened automatically it must lock electrically.” In order for the door operator to open the door, the door must first be unlocked. If it must be unlocked only when the power operator is performing its task, this must be done through electric locking devices. This article is about how to arrange for that to happen. The part of a lock that prevents a door from opening is usually called a ‘deadbolt,’ ‘deadlatch’ or ‘latch.’ When a door is required to close and lock automatically, this is usually accomplished by using a deadlatch. When an automatically deadlatching lock is present, before a power operator can open the door, this deadlatch must be released. It is not enough to unlock the lever or doorknob. 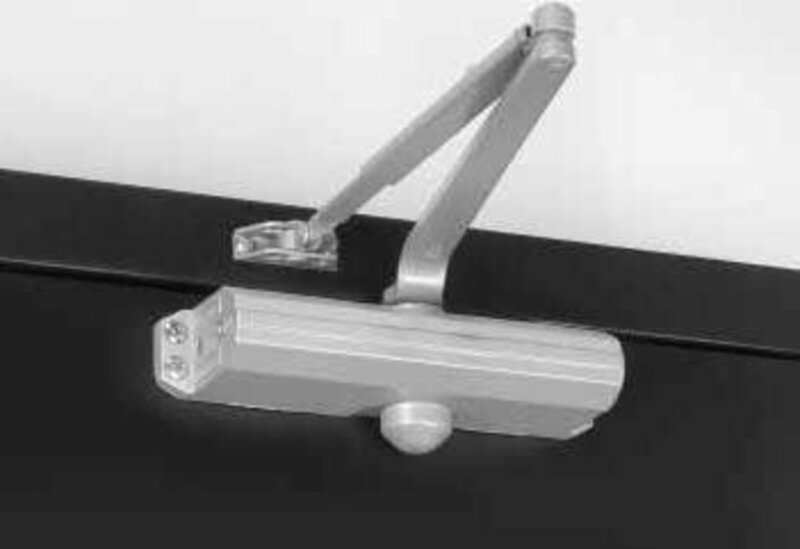 The latch itself must be released to enable the power operator to open the door. 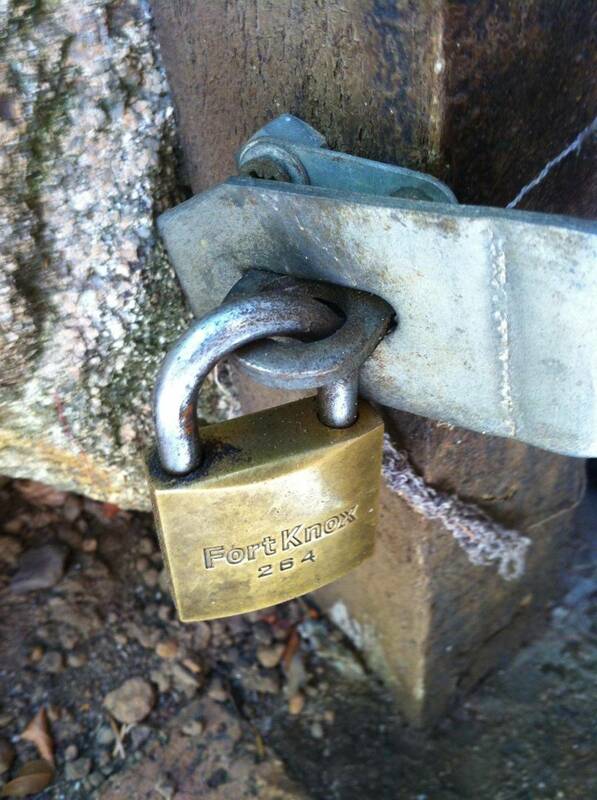 Many low energy power operators come equipped not only to open the door, but to also unlock the door. These greatly simplify the wiring as well as the thought processes of the installer. A couple of examples are the LCN 4630/4640 series and the new Norton 6000 series. Both offer ease of wiring because they both handle all the auto-operator function wiring “in-house” – that is, all the wiring that coordinates the unlocking and opening and closing and locking of the door is done inside the cover of the power operator. In both examples the principles are the same: both offer a 24-volt powered output to control an electric strike or a form-C contact to control a device (such as an exit device with electric latch retraction) that has its own power supply. 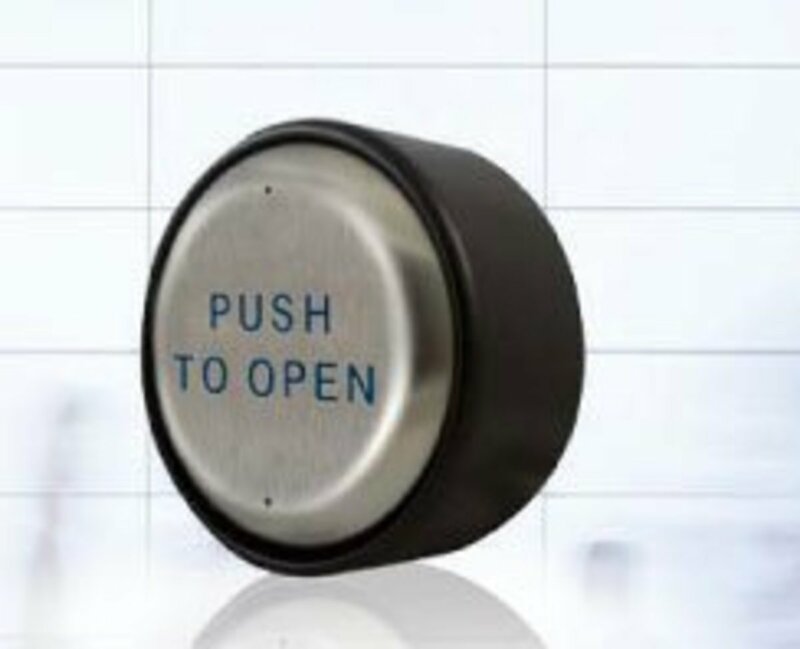 Both have terminals for accessories: actuators (usually large, heavy square or circular switch plates engraved with the wheelchair symbol and/or text such as “PRESS TO OPERATE DOOR”), motion sensors, presence sensors, fire alarm input, etc. To use these terminals it is important to understand what their intended purpose is. With very few exceptions, most automatic door openers require an external power source. For both of the above examples and the vast majority of commercial grade products on the market, the input voltage is 120-volt house current. Usually power operators come with two inputs for actuators anticipating that users will be activating the power operator from either side when they are coming in or going out. That is why most of the time two actuators are specified for each power operator. The most common exception to this is when the exterior actuator is an access control – keypad, key switch, card reader, etc. 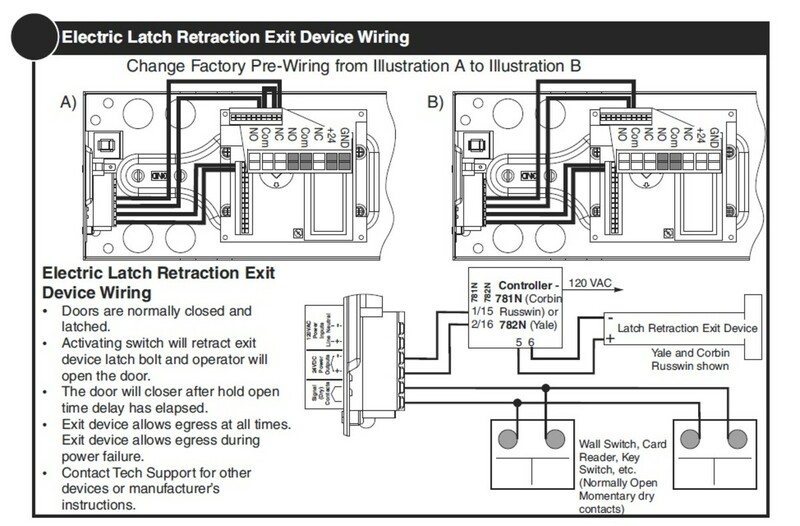 Another exception is when a request-to-exit switch placed inside an exit device acts as the actuator upon egress. 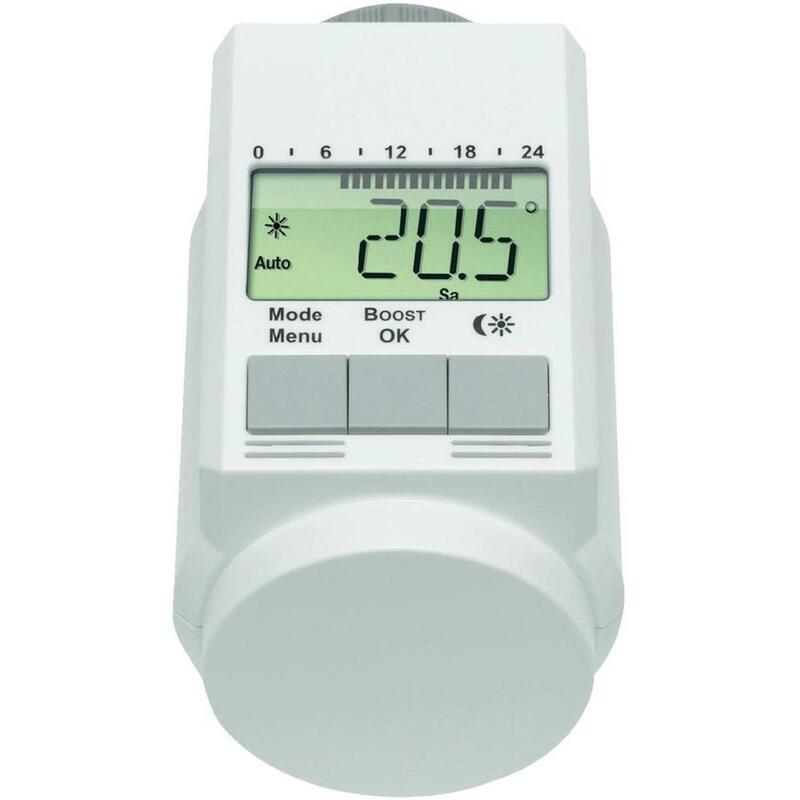 Still another exception is when a passive infrared motion detector is used as an actuator. Anything that can be used to momentarily close a set of open electrical dry contacts can be used as an actuator. Actuators can be wireless or hard wired. Hard wired actuators have a momentary contact, normally open switch on board. They are connected via 2-conductor wire to the actuator inputs. When activated, they close the contact signaling the power operator to begin the opening cycle. Wireless actuators run on batteries (usually 9V) and communicate via radio frequency with a wireless receiver that is connected in turn to the power operator. When the wireless actuator is activated it causes the wireless receiver to momentarily close a set of contacts. The contacts on the wireless receiver are either connected an actuator input on the power operator control board or the power operator has inputs specifically designated for the wireless receiver input. Wireless receivers require power that is usually supplied by a powered output on the power operator board. An access control system can also act as an actuator, so that persons using the automatic door opener can do so using their access control credential. 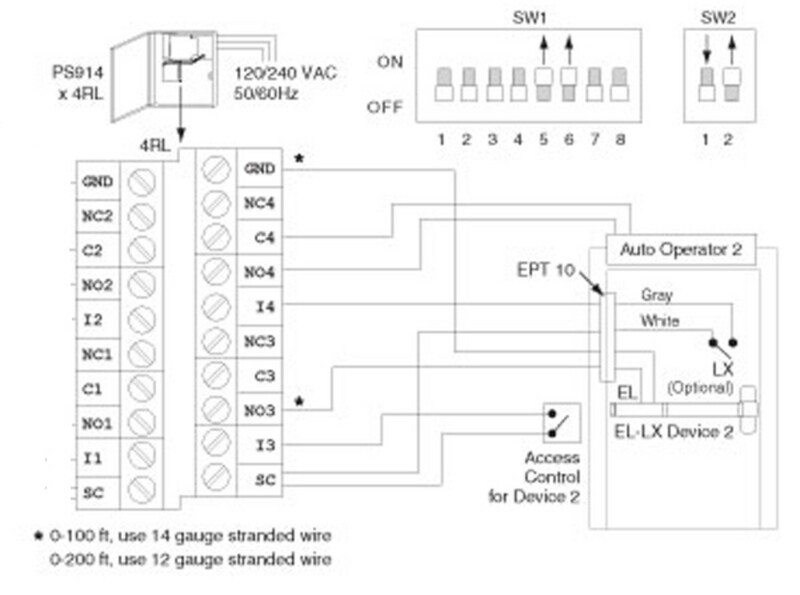 As illustrated in the 900-4RL wiring diagram later in this article, a request to exit switch inside an exit device can also be used to actuate a power operator. Safety or as presence sensor inputs connect to presence sensing devices that signal the power operator that a person is in the path of the opening or closing door. Their purpose is to stop the power operator from hitting people with the door by signaling it to interrupt its current operation until the way is clear of pedestrians. The safety sensors signal the power operator to resume its operation when the person is no long present in the path of closure. A wireless receiver acts the same as an actuator except it requires power. Some power operators provide a designated connection for the wireless receiver and others diagram how it can be connected to the board as an actuator and receive power from a powered output from the control board. Powered, or "wet" outputs typically output direct current (DC) low voltage (12 or 24 volts) to power an electric strike and/or wireless receiver. Connecting a device to a wet output is the same as plugging an appliance into a switched electrical outlet. Therefore make sure the power operator is disconnected before wiring anything to a wet output. 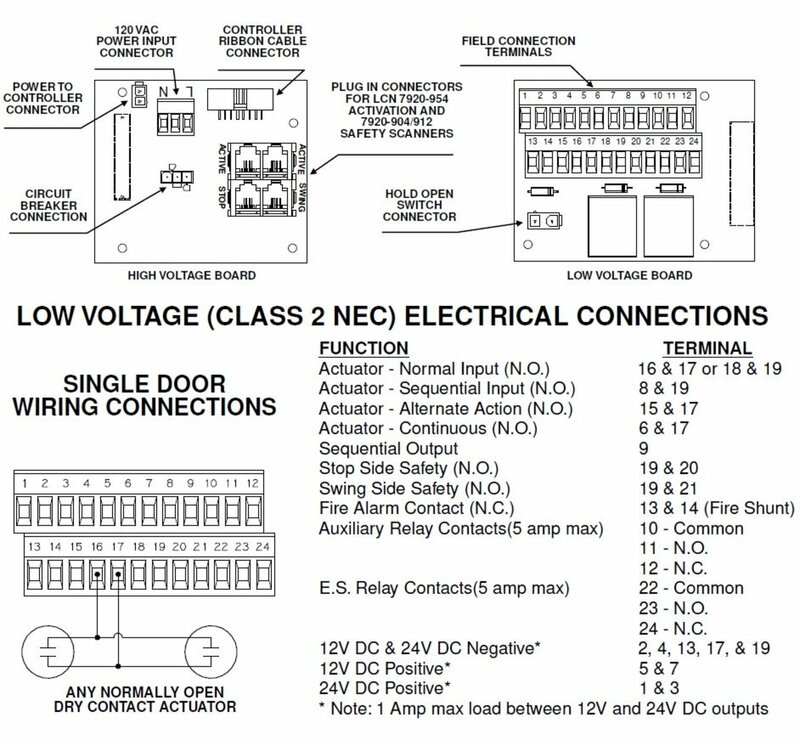 When an electric strike is connected to the powered output the power operator acts as both transformer (reducing 120 volt house current to usually 24 volts DC) and switch, activating the electric strike before beginning the door opening/closing cycle. This is by far the easiest way to coordinate an electric locking device with a power operator. If your power operator has a Sequential Operation Output, this output allows one power operator to control another power operator. Typically this option is used when there are two consecutive doors: an exterior door that opens onto a vestibule, and an interior door. It allows the installer to 'program' the power operators to open one after the other or simultaneously. 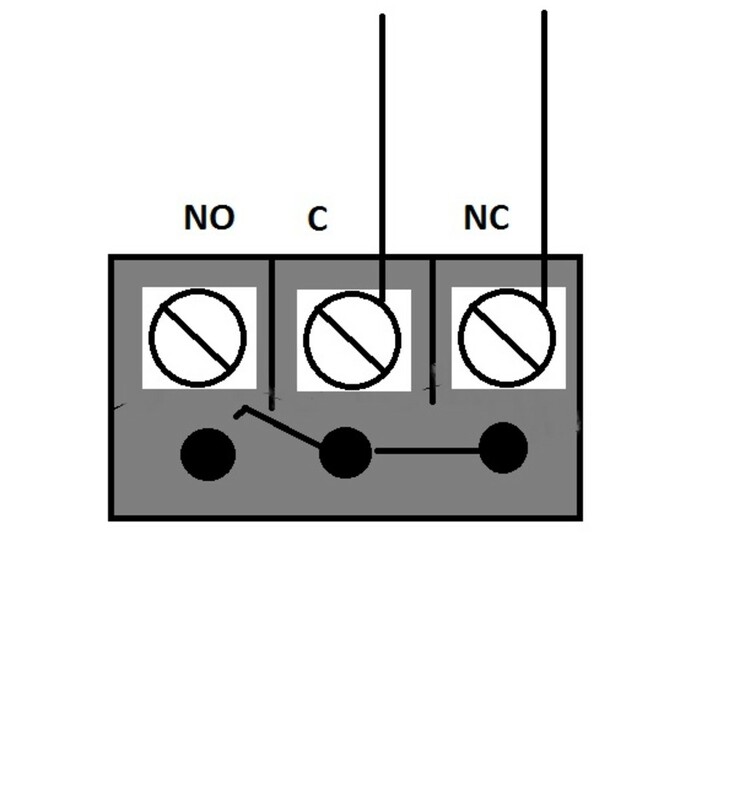 Power operators may come equipped with two kinds of outputs: powered outputs and form C relay dry contacts (illustrated above, fail safe wiring). To use the dry contacts on the power operator control board to control an electric locking device, run one conductor from the negative output terminal of an external power supply directly to the locking device or other device requiring power. Run a second conductor from the positive output of the power supply to the Common terminal of the form C contact. Run a third conductor from either the N.O. (Normally Open) or N.C. (Normally Closed) terminal depending on whether you have a failsafe or fail secure locking device. The power operator is already set up to change the state of the relay when it is signaled to open the door; therefore it will either power or un-power the electric locking device before it begins the open/close operation cycle. 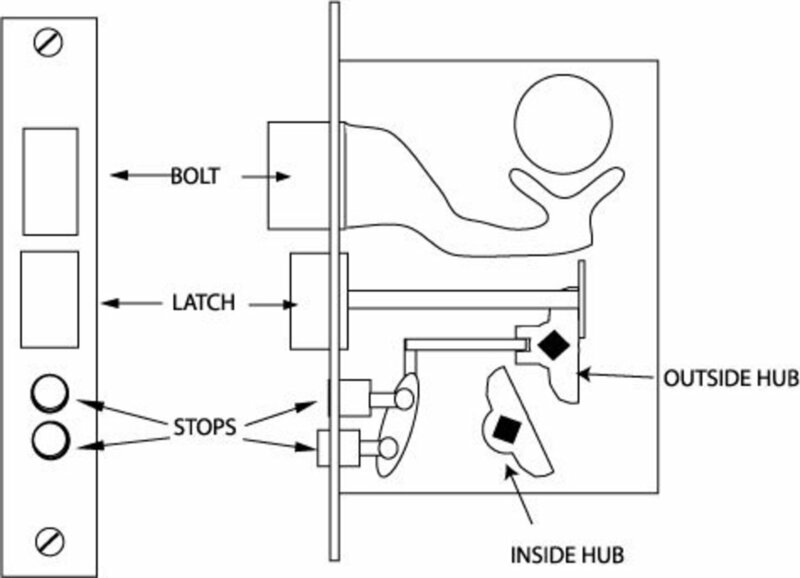 The wiring diagram above shows the UR-1 board wired to coordinate operations of the actuator, door operator and locking device, in this case Security Door Controls' LR100 series aftermarket electric latch retraction kit. 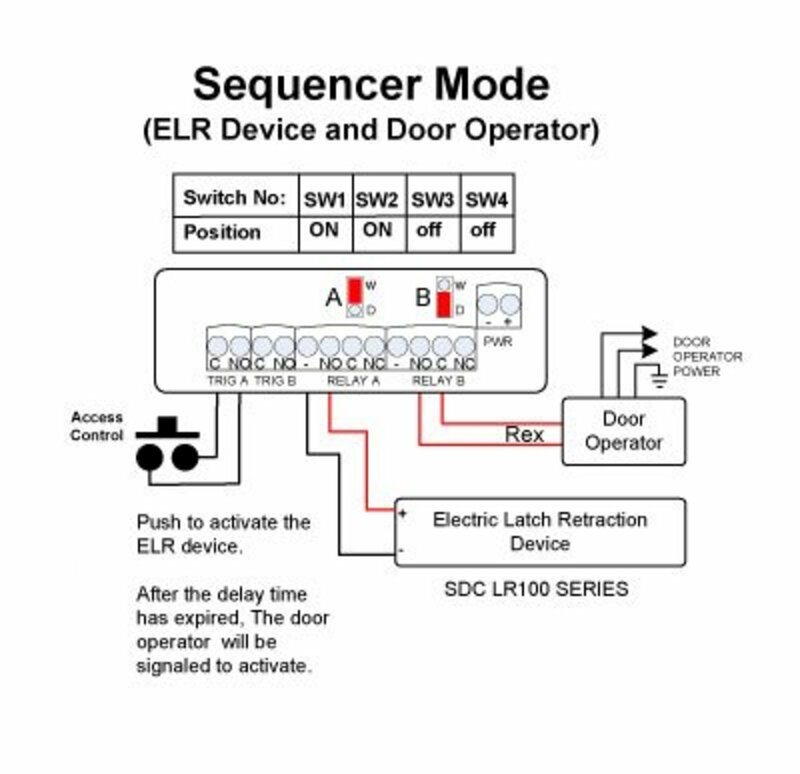 Both the 900-4RL and the UR-1 as shown in the above diagrams are set up to accomplish most or all of the functions of a fully equipped, locking system compatible power operator control board in situations where the power operator is not so equipped. It is vital that installers pay close attention to the installation instructions when installing power operators because incorrect installation can cause serious injury or death. It is not a project for beginners. Even if you are experienced in door closer installation, if you have not installed a power operator before it would be a good idea to observe someone with experience install one before you attempt it. If you have an ADA door with card reader capabilities, can you disable the card reader so that the door can only be opened manually by authorized personnel? The short answer is, 'probably.' Your question seems to indicate that the card reader is used to activate the automatic door opener. If that is the case, some component of the card reader system is probably connected to the automatic door operator by two-conductor wire. Therefore, a break in either of these conductors - by an electrical switch, for example, or a timer with a relay - would prevent the activation of the automatic door opener by the card reader. I must question whether your door can be used manually because I do not know whether your automatic door operator is electro-mechanical or electro-hydraulic. Electro-hydraulic operators have an actual door closer inside them that will shut the door. Electro-mechanical operators use their electric motor to shut the door. What happens in a power cut? How do doors open with no power? In the case of a swinging door, the door can be opened manually. Sliding doors are often equipped to “break away” and be pushed open. Thanks Tom. Your article is still helping others. Many power operators are equipped with control boards with relays to operate electrified locking hardware. If yours is one of these, when the remote actuator (push plate) is activated, the relay on the power operator control board can be used to activate your electrified hardware. In order this to work, your electrified hardware must either retract or release the latch. 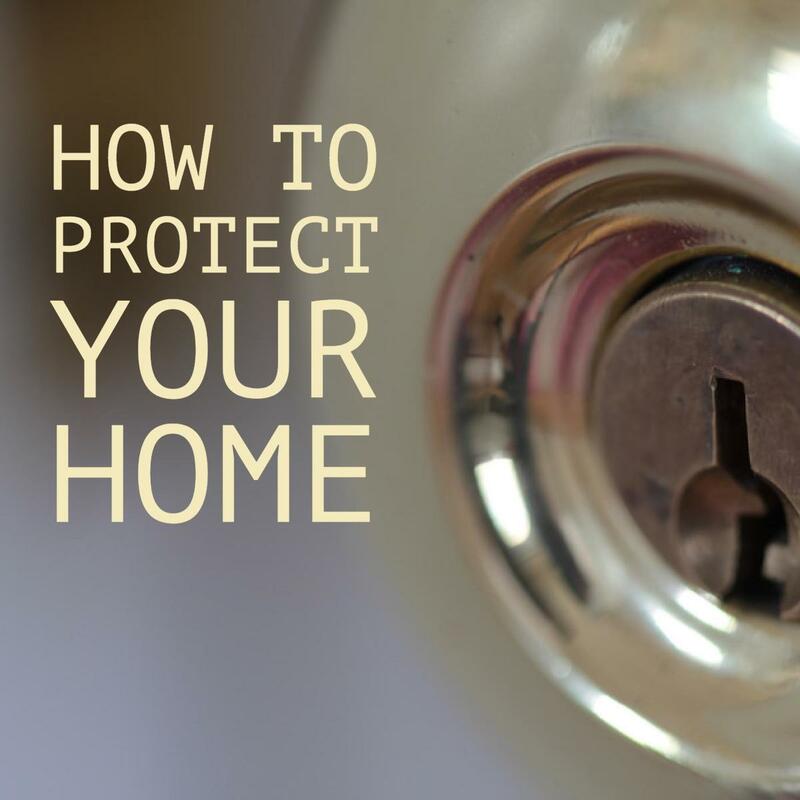 If your electrified hardware only unlocks the outside trim, the system will not function. If your power operator does not have a control board, then you can use a logic relay board to work with the power operator. When the actuator (push plate) is activated it will signal the logic board. The logic board will first signal the electrified hardware to retract the latch and then signal the power operator to open the door. Often logic relay boards are offered as accessories for power supplies that power electrified hardware. Jean Tessmer, RME, ASID - design@spaceoptions.com - www.spaceoptions.com, mobile (808) 298-3802. I cannot speak for every power operator, but at least for the two examples above the answer would be yes. If the electric locking device you are using has a power supply separate from your access control power supply, it may be equipped with a relay that would do the job or the power supply manufacturer may sell a useable relay board as a UL listed accessory. If an access control contact is n.c. Do i need a relay to give my auto door an open contact? Thank you for your kind comment, Benjamin. Hi Tom Rubenoff. 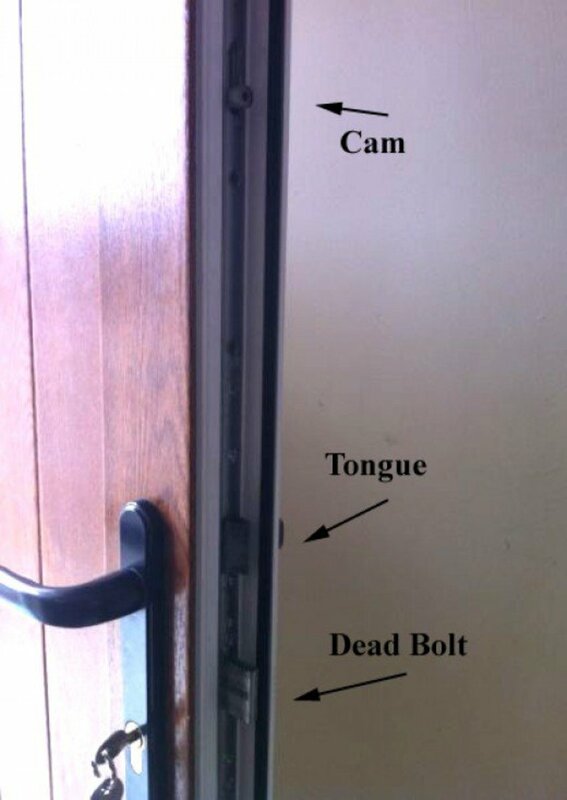 I did not know how automatic doors operate and how they can be linked to locking devices. I have learned everything from scratch through the hub. The hub is well-written and the steps are easy to understand. Voted up, useful and interesting.